If ever it were possible to characterize Scotland, these 3 elements are key. Scottish life is connected to the sea by thousands of kilometers of coastline and has inevitably influenced its character. Fife was called a mantle fringed with gold by King James VI and he wasn’t wrong at all. Fife has a chain of small ports and flourishing fishing fleets linked to the Netherlands. Many of these villages have retained their charm. In Anstruther, you can explore a typical fishing port and see for yourself. However, before this we can stop for a tea or coffee in the beautiful village of South Queensferry, where we have magnificent views over the Forth Estuary and its bridges. One of these is a UNESCO world heritage site and has become a symbol of Scotland. Spend a bit more time in St Andrews. Here our guide will accompany you and will give you tips on how to make the most of your time, as well as recommend the best places to eat. St Andrews is a historical university town, and they say golf was invented here. The university was founded in 1413, and currently houses a fabulous collection of historic buildings, with the North Sea as its backdrop. Immerse yourself in this town, with its cathedral, castle, university and scent of the sea. Fall in love with its beach! Right behind these dunes, explore the Old Course golf club, the most famous of them all. For the masters it’s an absolute privilege to play here. Learn about the relationship between golf and whisky, and why Scotland just can’t live without the “water of life” whilst taking a personalized tour of Deanston Distillery. Here we tell you the secrets of this single malt whisky and its elaboration process. 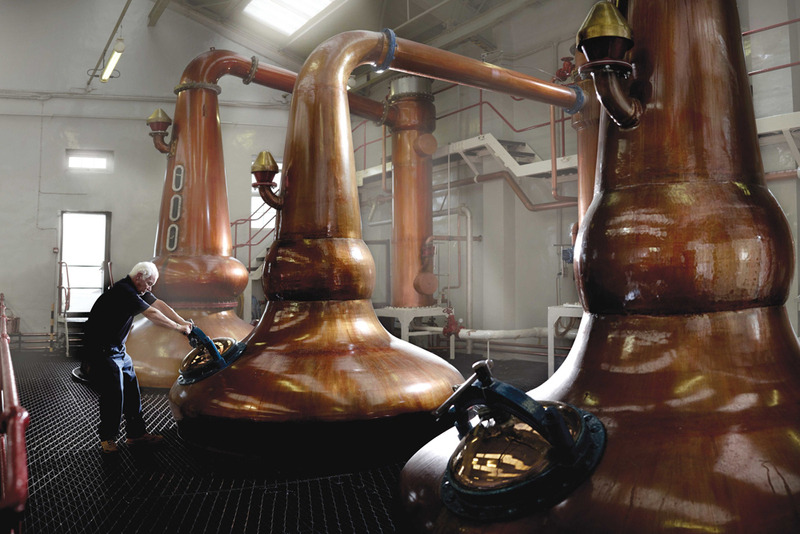 Deanston is made with passion and care making the most of the Scottish land. 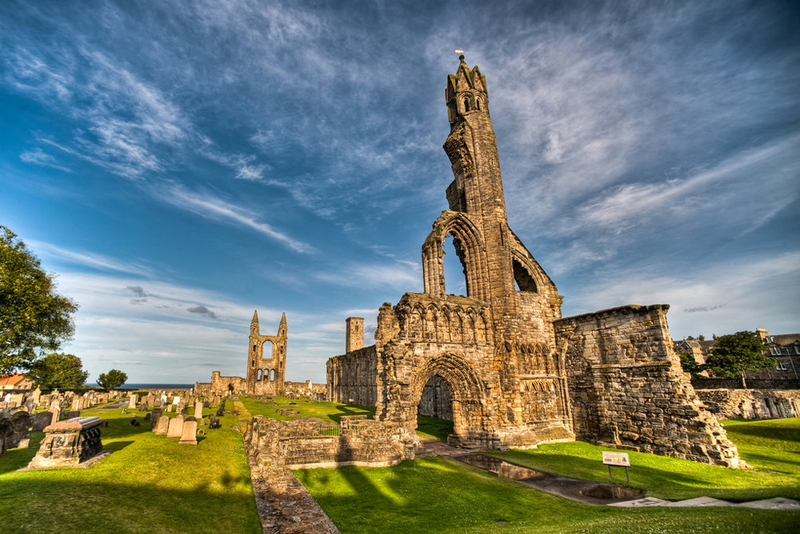 St Andrews Cathedral was once the largest in Scotland.